Seriously folks, what can Sligo expect from the National Planning Framework when the Government has consistently failed even to provide a proper building for the local Gardai to date. Currently, some 140 gardai and an Assistant Commissioner are working in what a local TD has described as unsafe conditions. Marc MacSharry said a survey of the Regional Headquarters on Pearse Road had revealed that there was no drinking water, heating was antiquated, toilet facilities were “third world,” and cells had no washing facilities or adequate ventilation. There were also invasions of rats. “The situation…is completely unacceptable,” he said. Yet, two years on from the date of the survey “progress on the construction of a new building has been minimal.” This, said MacSharry, is despite Sligo being identified as one of three locations where stations would be built as far back as 2015. 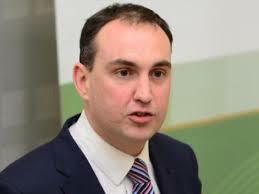 The Fianna Fail Deputy is now insisting that the new building must be included in the National Plan which is scheduled to be launched when the Taoiseach and the Cabinet travel to Sligo later today.